The tips provided here will help, but before discussing what to look for in a vendor, it is helpful to understand what ITAD means, if you don’t already. When replacing IT equipment, you cannot simply stuff your old equipment in a trash bin, post in the classifieds, or rely on the nearest recycling company to take it away. You need dependable IT asset disposition services provided by a company you can trust to properly decommission and dispose of, recycle, or remarket the equipment. ITAD should be part of your company’s risk management strategy. The solution, especially for an enterprise-level business, is to find a good long-term ITAD partner. Expertise: The partner you select should be knowledgeable about IT equipment, as well as laws and regulatory compliance, to provide the best recommendations for managing the disposition of your assets. If your equipment can be refurbished, you should be paid for it. If remarketing is not an option, R2 compliant recycling should be offered. If your equipment must be destroyed, it should be done in an environmentally and regulatory compliant, fully documented way that minimizes your company’s risks and costs. R2-Compliant Recycling – R2, or Responsible Recycling, is a Sustainable Electronics Recycling International (SERI) program setting global standards for electronics refurbishing and recycling. If you plan to recycle your IT assets, you want an R2 compliant company handling it to make sure it is disposed of properly. Remarketing – Unless your security protocols require the destruction of your equipment, or you already plan to recycle it responsibly, you may be able to get a return on the investment, whether through a credit on new equipment or cash back. If refurbishing is a possibility, or if you’re unsure of your choices, a good ITAD partner can advise you on the best options for your specific assets. On & Off-Site Wiping & Shredding – Data security is a top concern for companies disposing of IT assets, and some corporate policies and customer agreements require sensitive data to be kept on site until destroyed. If your company requires it, you will need a vendor providing mobile services. If on-site services are not required, find a vendor with secure facilities to ensure your data is protected throughout the process. Certifications: Certifications demonstrate an understanding and commitment to compliance with environmental, health and safety laws and regulations. Verify what, if any, certifications the vendor holds and ensure those certifications meet your corporate requirements. Trained & Screened Technicians – Does the vendor perform employee background checks and drug screening? Only well-trained carefully vetted technicians should handle your IT asset disposition. Company Contacts – Does the vendor provide contact information for named individuals or only a single contact? Are phone numbers provided or only a contact form? The ITAD company you choose should make it easy for you to contact a representative, preferably by name, for assistance. You don’t want to be concerned about the possibility of a data breach or your e-waste illegally dumped in a landfill. 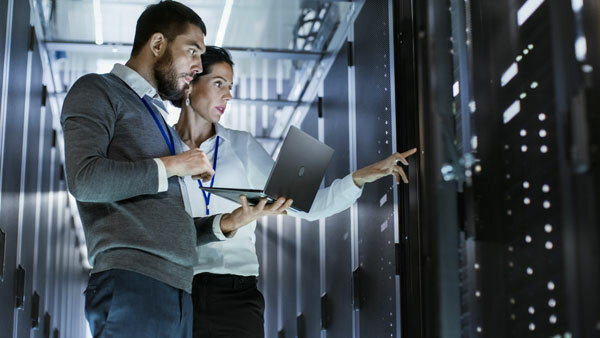 Finding the right ITAD partner to decommission and dispose of your assets takes time, but when you do find a reliable one you can relax knowing your company, its data, and IT equipment are properly taken care of. To learn more about ServerMonkey and our IT asset disposition services, contact us.